In general, there is no idea too big for Game of Thrones. Giants riding woolly mammoths? You got it. Dragons breathing down fire on a flotilla of ships? Of course. An army of rampaging ice-zombies? Sure, and give them their own ice dragon while we’re at it. Which is why it was so shocking that Sunday night’s season-eight premiere included a rare moment of restraint. 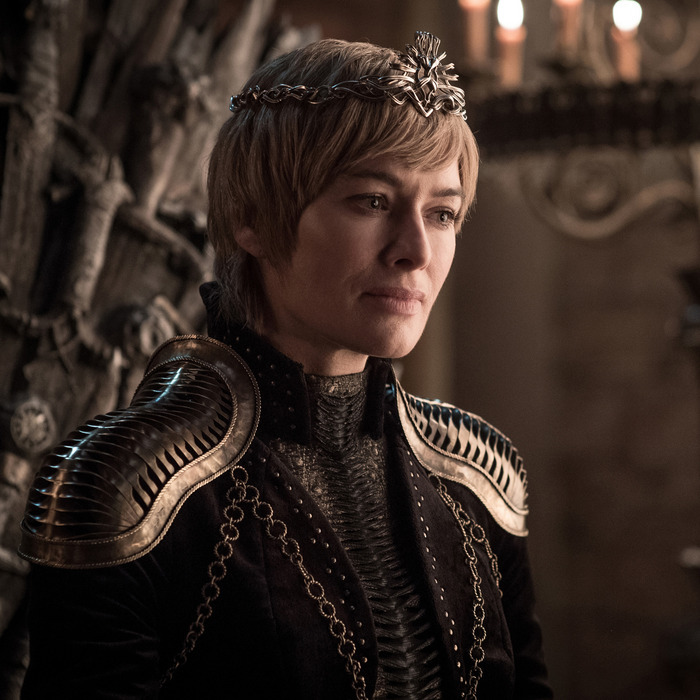 To recap: As she outlined the last time we saw her, Cersei has hired the Golden Company, an army of mercenaries from Essos, and tasked Euron Greyjoy with ferrying them across the Narrow Sea. Once they’ve arrived, the company’s commander gives a rundown of all the troops they’ve brought over: infantry, cavalry, archers, you name it. But what of the elephants? Cersei was told there would be elephants. Sorry, the Golden Company guy says, they didn’t bring the elephants. A shame, says Cersei, who proceeds to bring up the lack of elephants in every single conversation she has the rest of the episode. It’s funny! Game of Thrones’ creators certainly have the ability to give us a herd of war elephants rampaging across Westeros if they really wanted to, so if you’re wondering whether the multiple shout-outs to no elephants is instead some kind of weird in-joke, guess what, you’re correct. It’s a nod to the book version of this story line, which as you might expect this late in GoT, played out very differently. The Golden Company also invades Westeros at the end of George R.R. Martin’s A Dance With Dragons, but other than that, almost every element of the situation has been changed. Five hundred knights, each with three horses. Five hundred squires, with one mount apiece. … one thousand bows, [with one-third using] crossbows, another third the double-curved horn-and-sinew bows of the east. Better than these were the big yew longbows borne by the archers of Westerosi blood, and best of all were the great bows of goldenheart treasured by Black Balaq. But mostly what everyone remembers about the Golden Company is the pachyderms. “And elephants,” a soldier says after giving a rundown of their strength. “We must not forget the elephants.” There’s 24 of them, and they’re spectacular. You can understand why the show didn’t include any of this: At a time when Game of Thrones was trying to consolidate its story lines, the arrival of Aegon and the Golden Company presented a huge plot expansion on Martin’s part, and the show simply didn’t have the time! The Dornish and Iron Islands story lines in the last two books suffered a similar fate, but at least their broadest strokes made their way into the show in bowdlerized forms. Instead, young Aegon joins Lady Stoneheart on the list of book characters whose stories were just a little too similar to Jon Snow’s to be included in the show. But at least the show’s creators threw in the Golden Company and gave the elephants a mention. It gives me joy that, even in the show’s final episodes, with the series long having passed by the events of the books, its makers are still taking the time to include silly little Easter eggs for the readers out there. When it comes to the army of war elephants, I’m glad they didn’t forget. Oh, and if you’re curious whether the elephants made it to Westeros in the books: While half the Golden Company’s fleet got blown off-course during its invasion, according to an excerpt from Martin’s yet-to-be-published sixth book in the A Song of Ice and Fire series, The Winds of Winter, “a few” of the elephants did indeed survive the trip to land on Westeros’s shores. Hooray! Let’s hope the Golden Company brought peanuts. One weird thing about the Golden Company: When one of their leaders dies, they boil the flesh from his skull, dip it in molten gold, and carry it around as a memento. They originally planned on sailing east to link up with Daenerys, but Tyrion convinces them to go west instead. Why the show didn’t include them is anyone’s guess, but it’s probably something to do with saving money for the gigantic ice battle we all know is coming in episode three.